The United Nations Relief and Works Agency for Palestine Refugees (UNRWA), on Monday, urged its employees in Gaza, who are on strike, to stand by it in what it said was a critical time in its history and not against it. UNRWA spokesman Sami Mshasha said, in a statement reacting to a general strike called for by UNRWA’s Gaza employees, on Monday, to protest dismissal of some of their colleague, that differences between UNRWA and the employees over this issue do not necessitate the general strike. He said that out of 1,000 people hired on an emergency employment program, in recent years, only 113 had their contract cancelled while the rest either had their contract renewed or hired under a different program. He said, according to WAFA, that the strike had shut down all UNRWA facilities in Gaza and denied 1.2 million refugees their basic services, including education to 260,000 students. UNRWA employees in Gaza need to rally around their agency at this critical and difficult time that threaten its own existence, said Mshasha., urging them to return to the negotiating table and discuss the issue of the dismissed employees. The United States, this year, stopped funding the UNRWA to get back at the Palestinians for not accepting its dictates for a settlement with Israel. 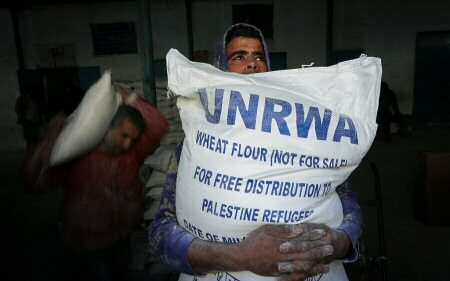 The US has been the largest contributor to the UNRWA, with $365 million in annual aid. The US decision left the UNRWA with a very serious financial crisis. Mshasha said that the UNRWA is hoping to get more funding when the donors meet in New York later this week during which they are going to discuss the financial crisis.